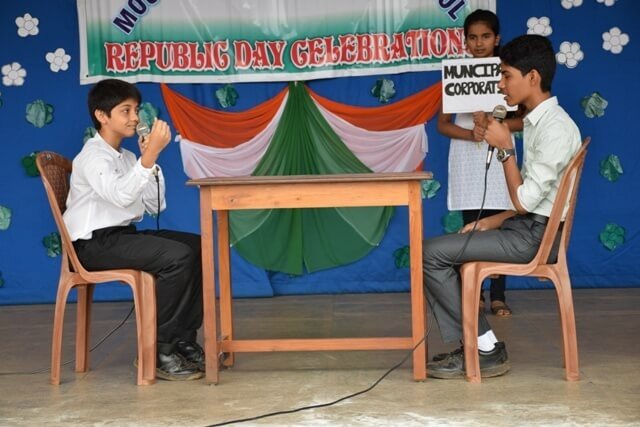 The Republic Day programme commenced at 8:25 am with Sheza of class VII A and Delton Tauro Of class VII B compeering the programme. 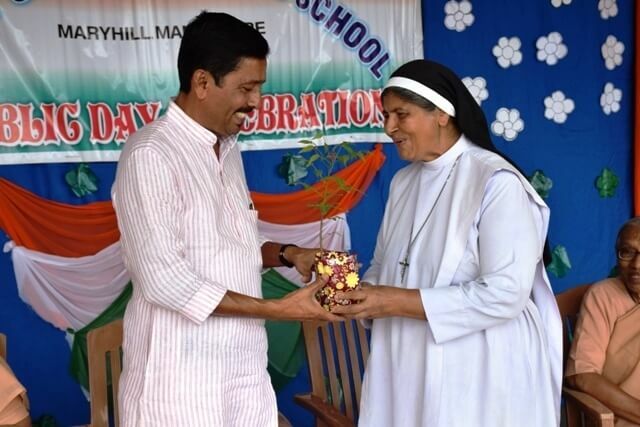 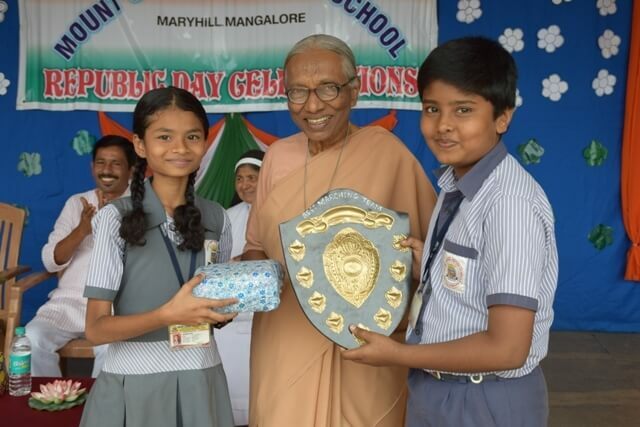 It was great pleasure to have Shri Mahabala Marla, Ex- Mayor of Mangalore City Corporation and Corporator of Kadri B Padavu ward as the Chief Guest of the day. 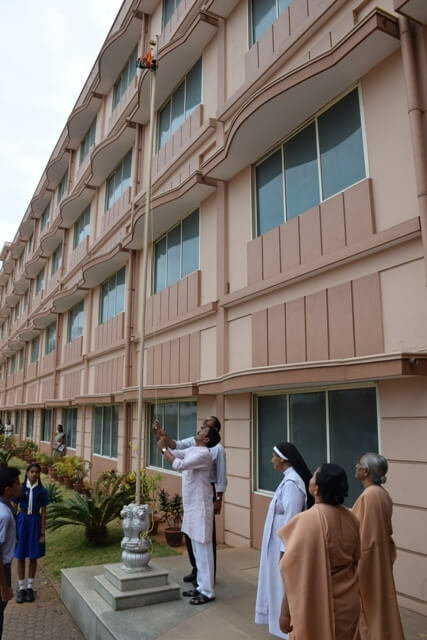 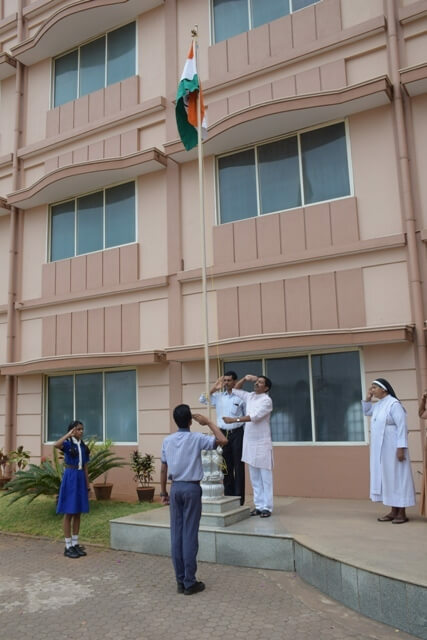 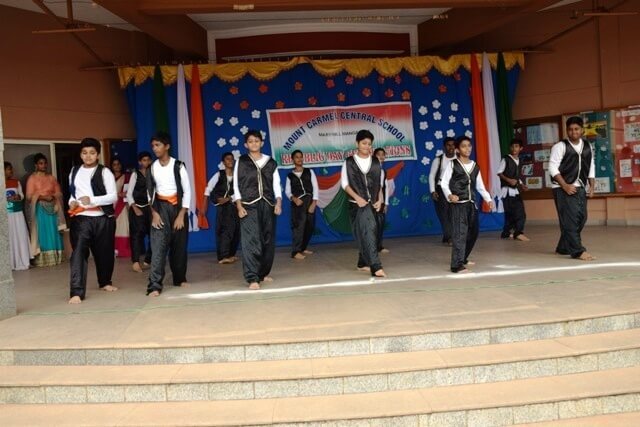 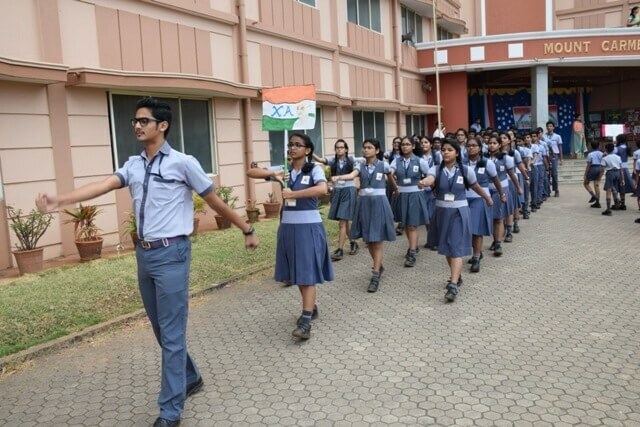 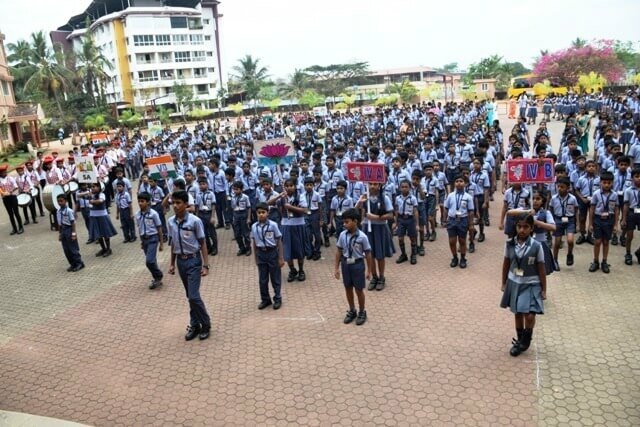 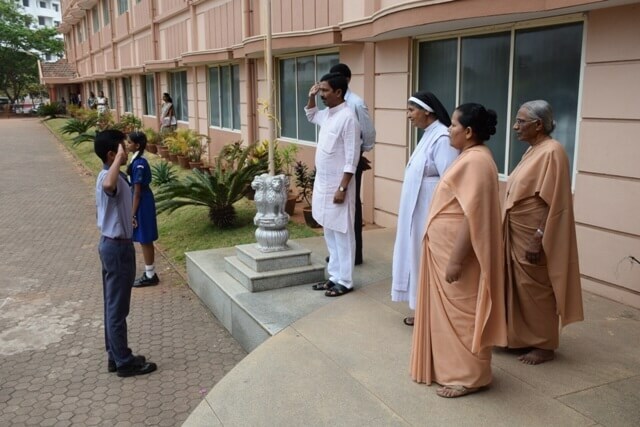 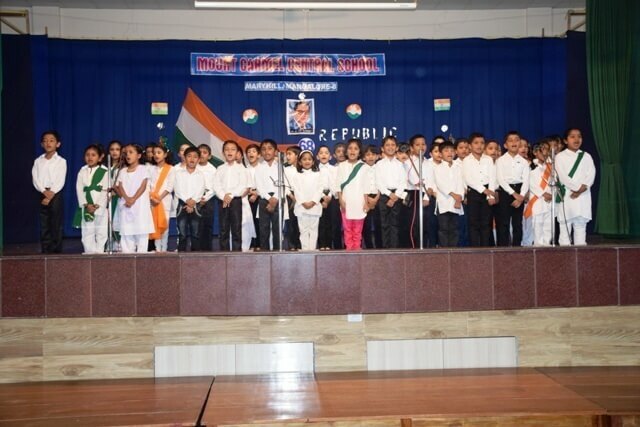 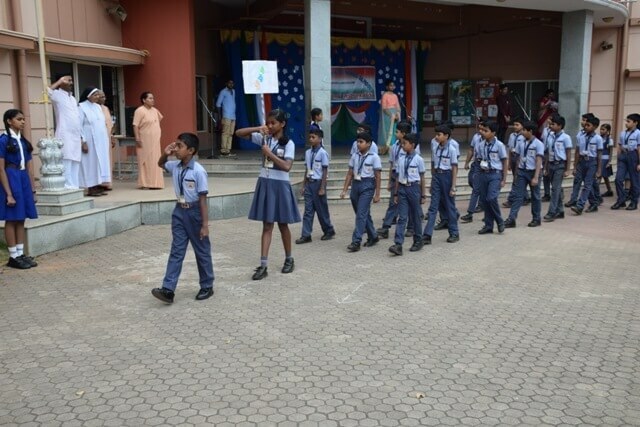 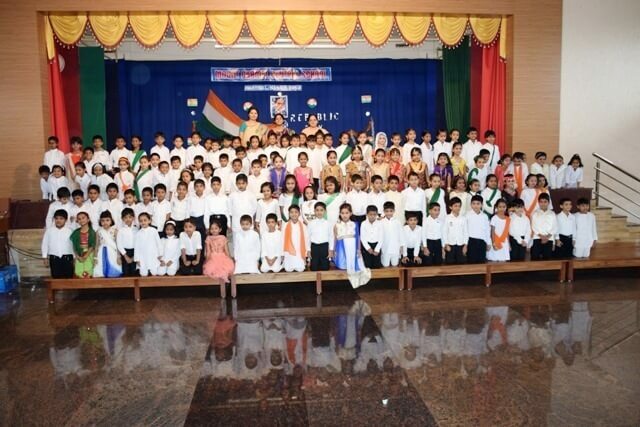 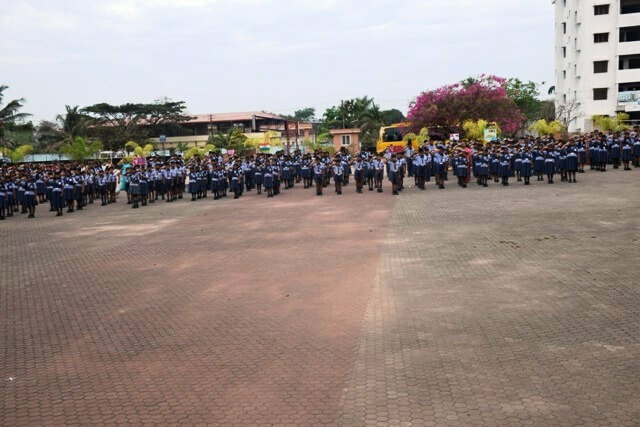 The ceremony began with the flag hoisting by the Chief Guest and then a majestic march past by classes IV to X. 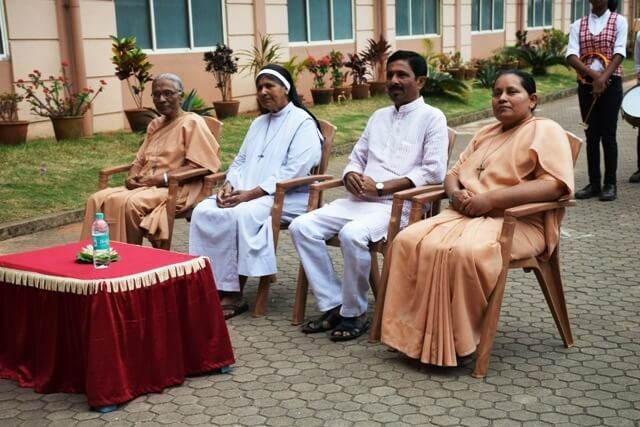 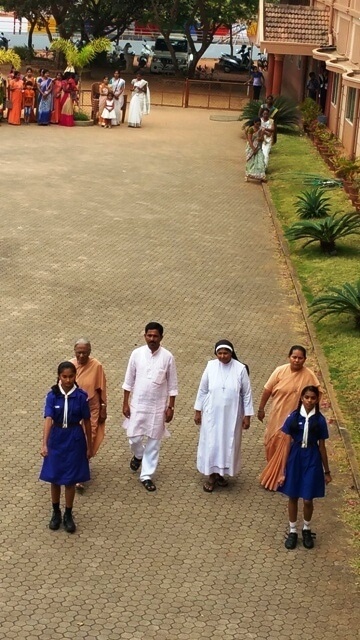 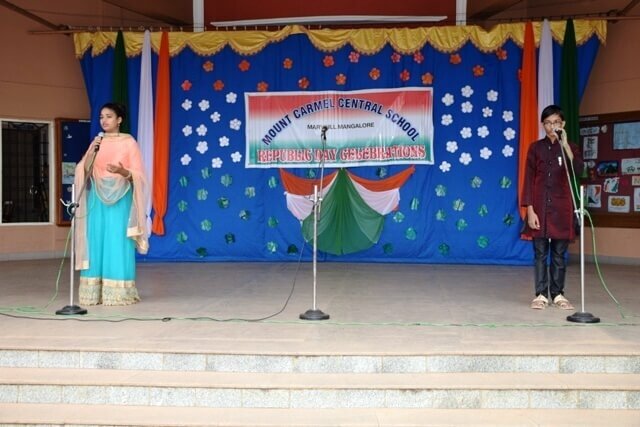 The cultural programme began with a prayer service followed by the significance of the day given by Aishwarya A.S. from class VIIB. 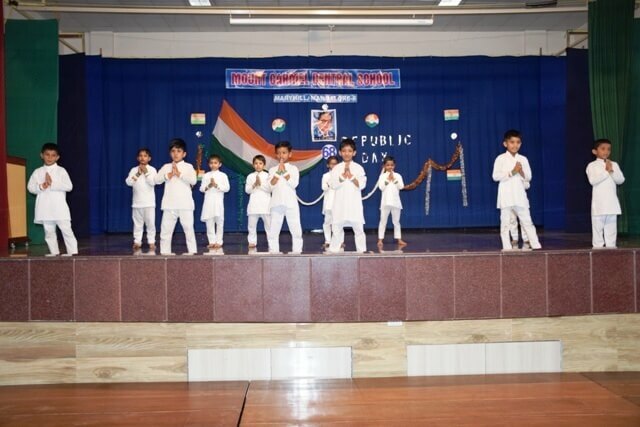 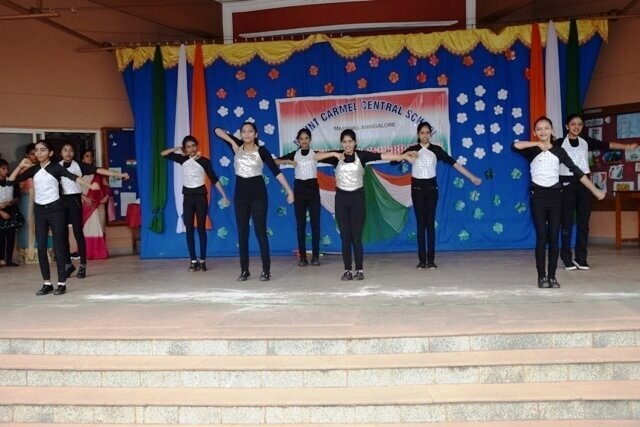 The students to add vigor and brightness to the day performed three patriotic dances. 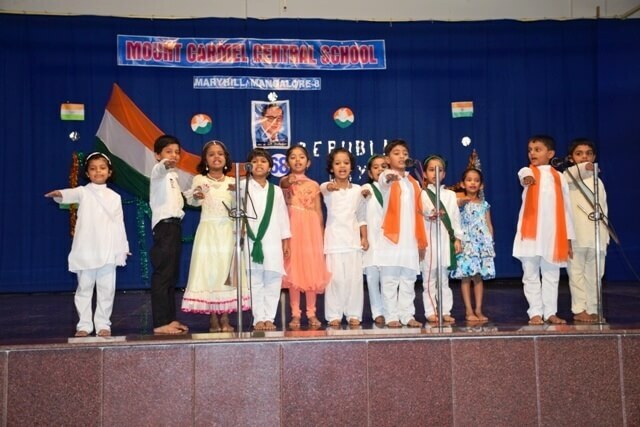 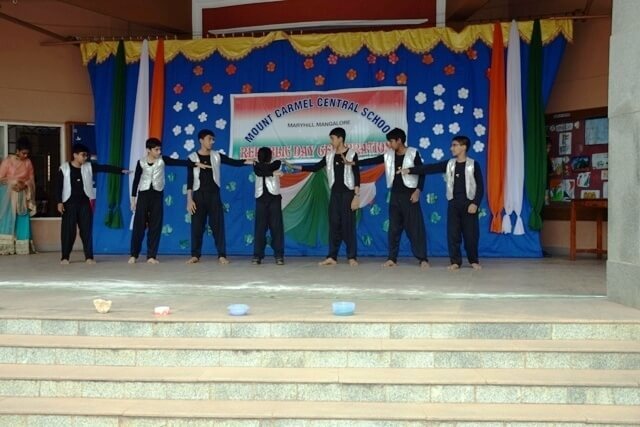 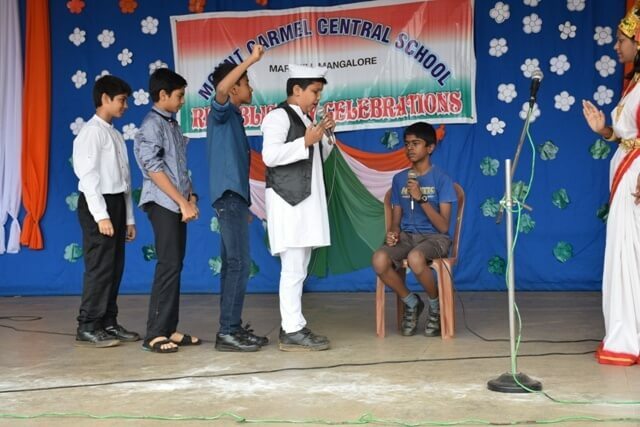 Not to forget the injustice in the society and country the students performed a skit based on corruption. 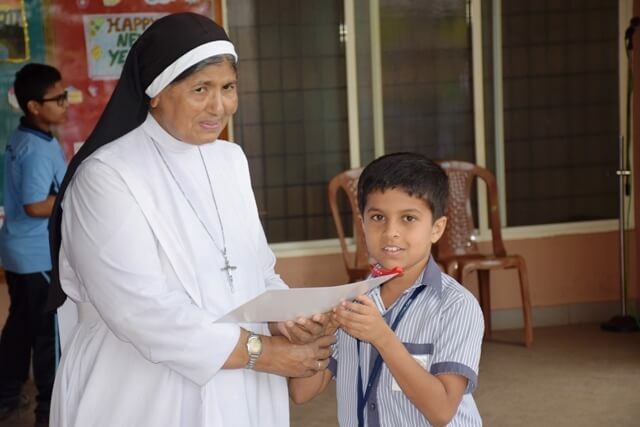 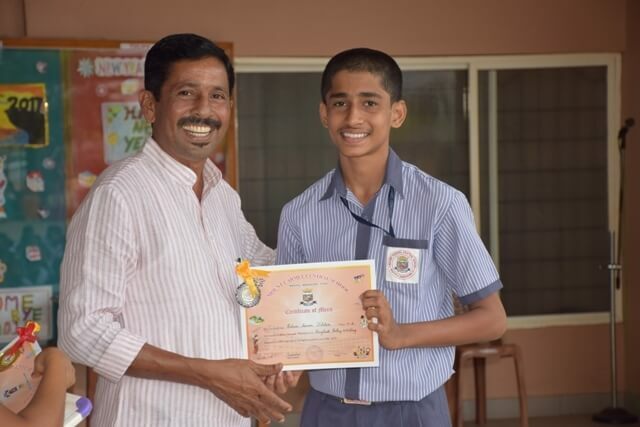 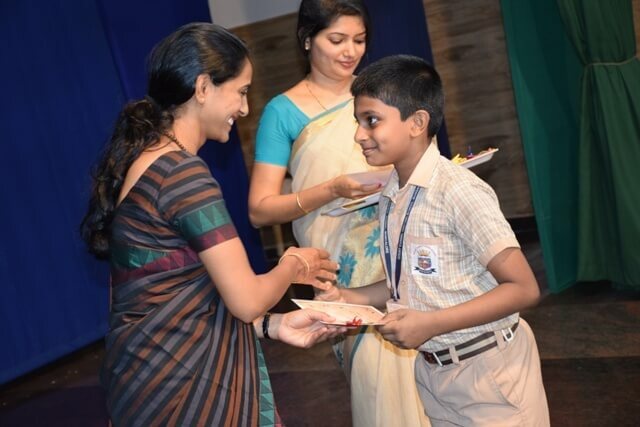 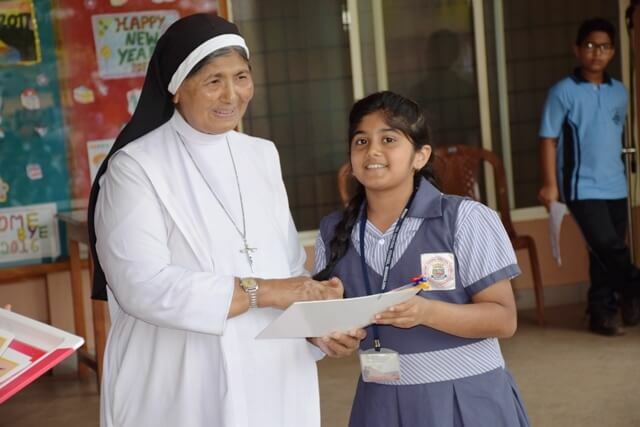 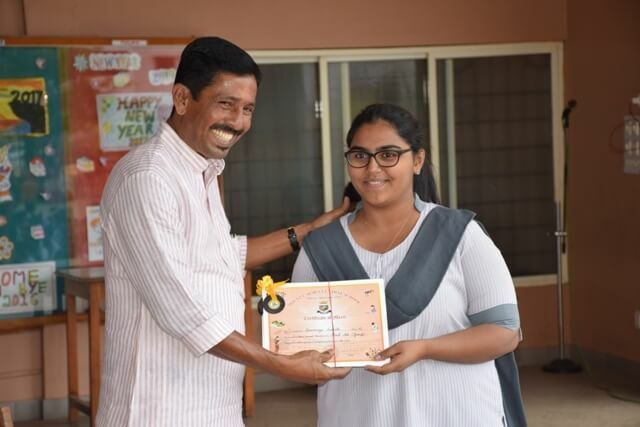 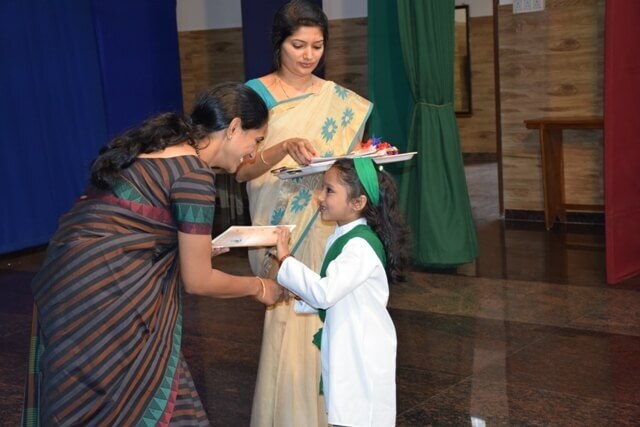 At the end of the programme the talents of our brimming students were acknowledged by awarding them medals and certificates in the prize distribution ceremony for the various competitions conducted during the 2nd term. 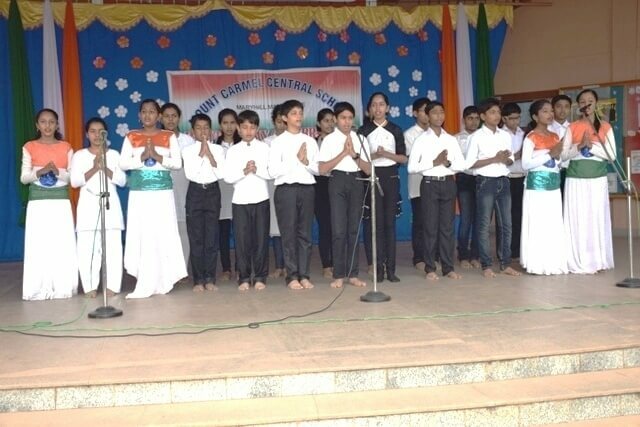 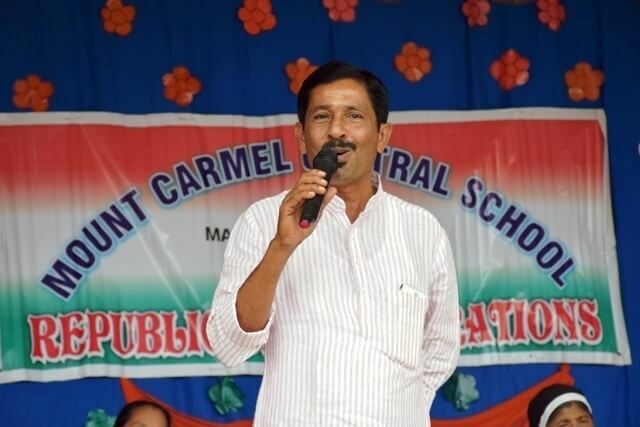 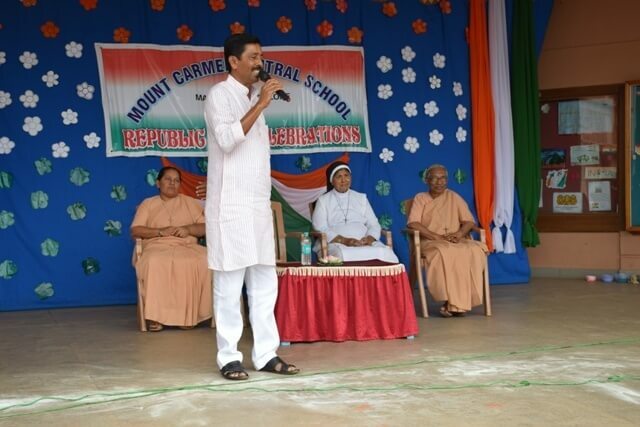 The chief guest in his talk appreciated the talents of the students and appealed to them to build a clean Mangaluru, free from corruption and respecting each other as human beings. 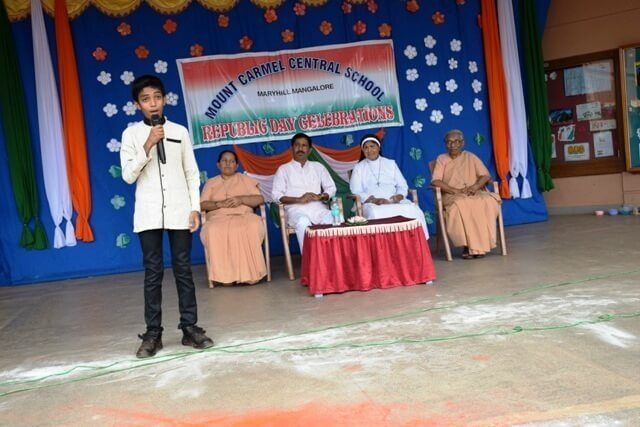 Mohammed Ziyan of class VIIB proposed the vote of thanks. 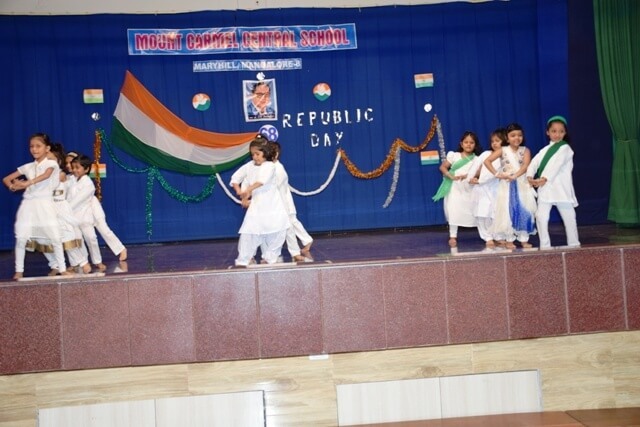 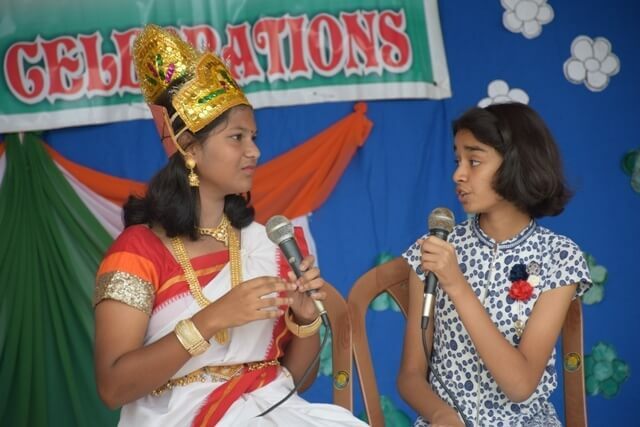 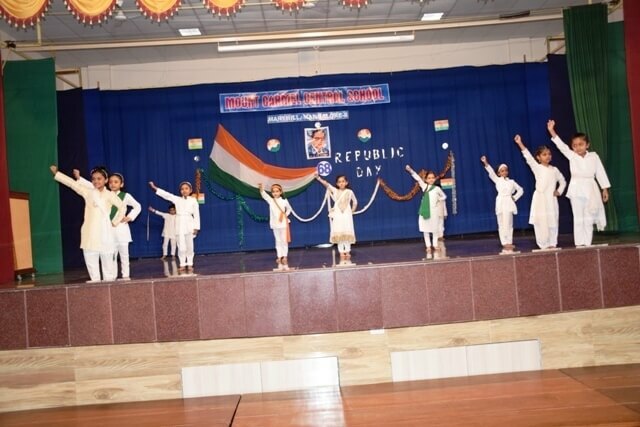 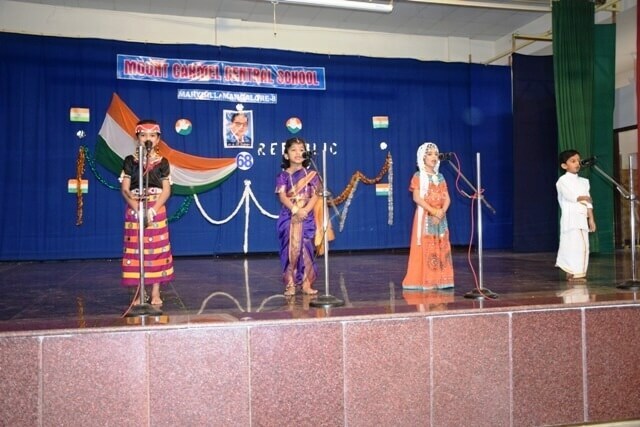 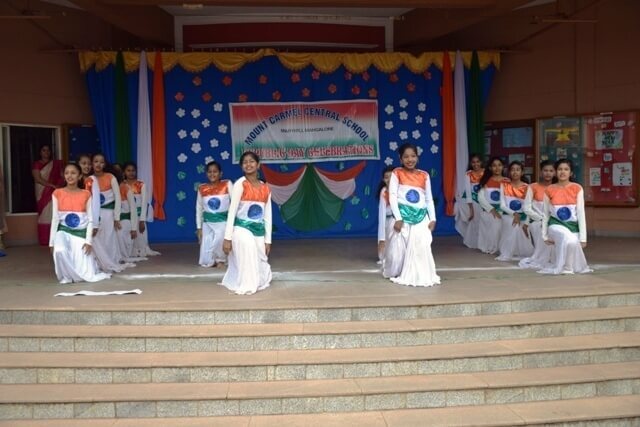 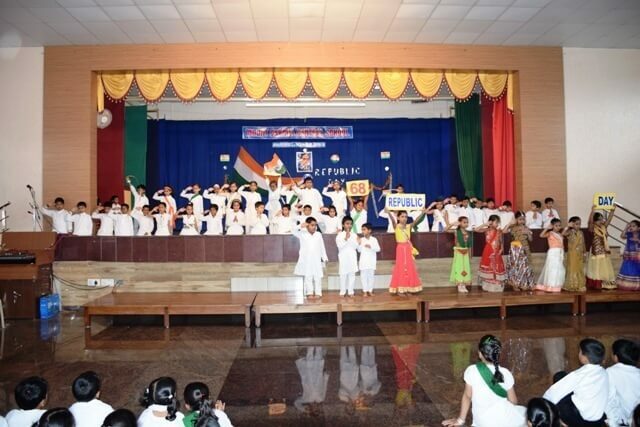 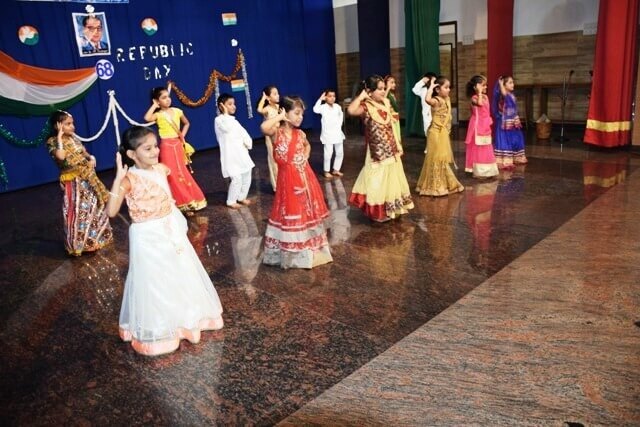 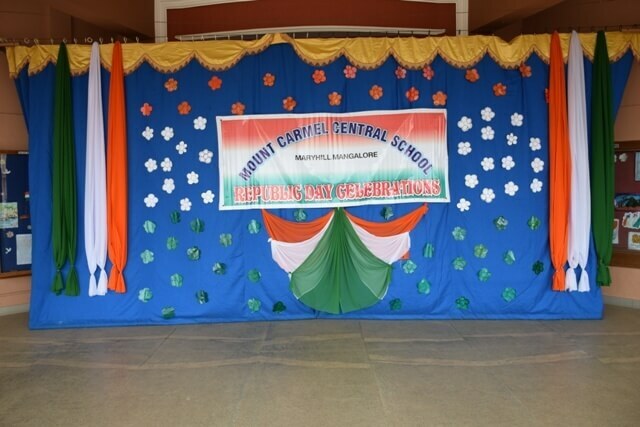 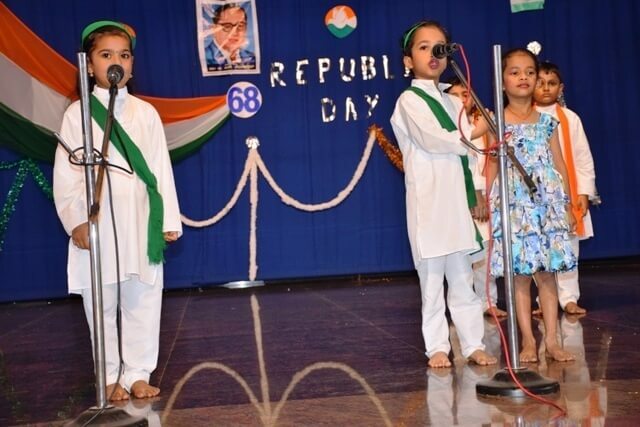 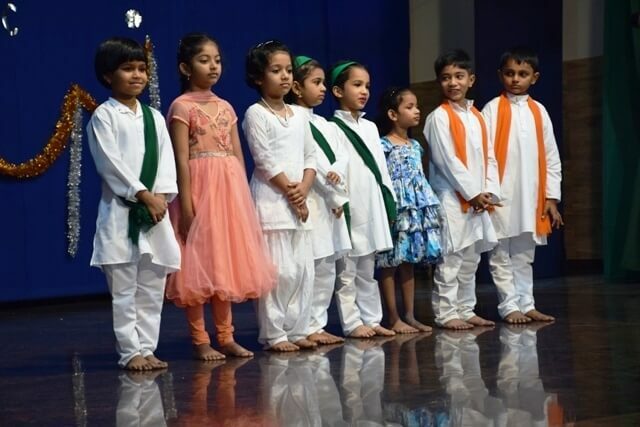 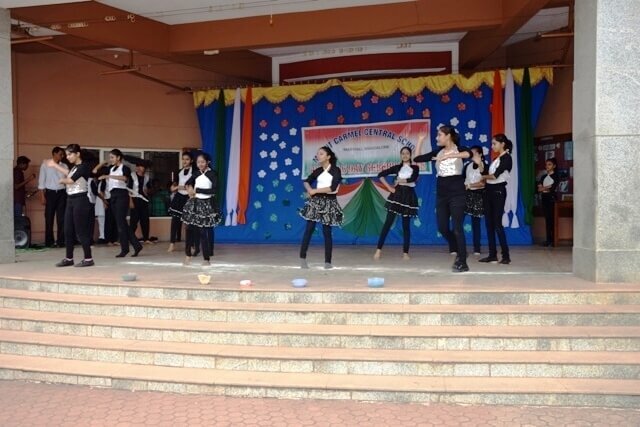 On the previous day, the students of Classes I – III had their celebration hosted by class I A, B and C exhibiting the patriotism through various performances with all its solemnity and grandeur. 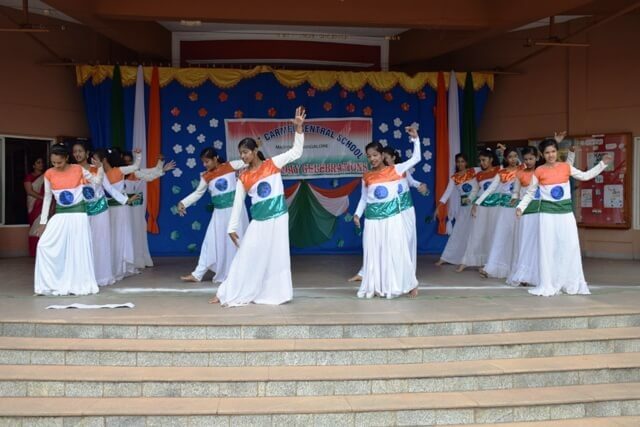 The graceful movement of the dancers to various patriotic songs was spell binding. 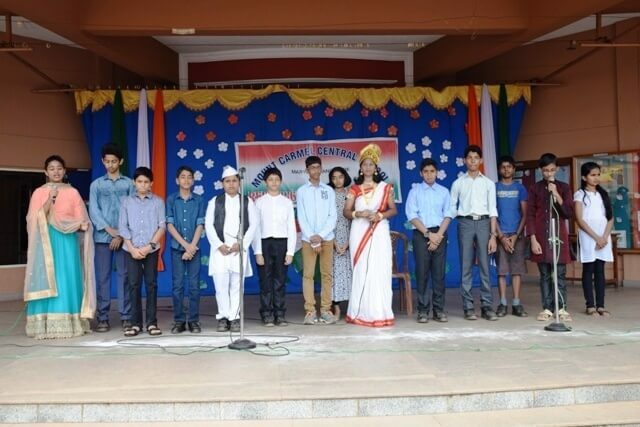 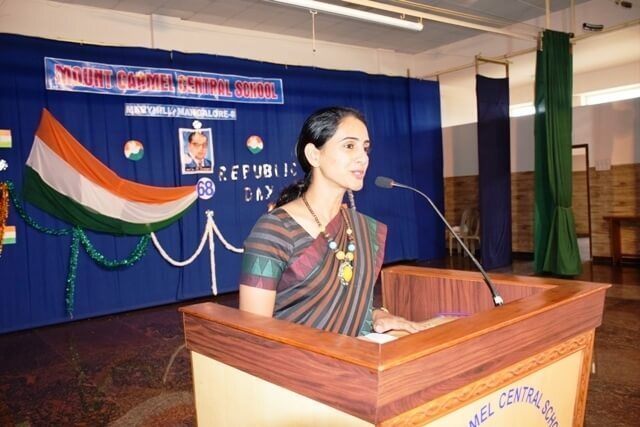 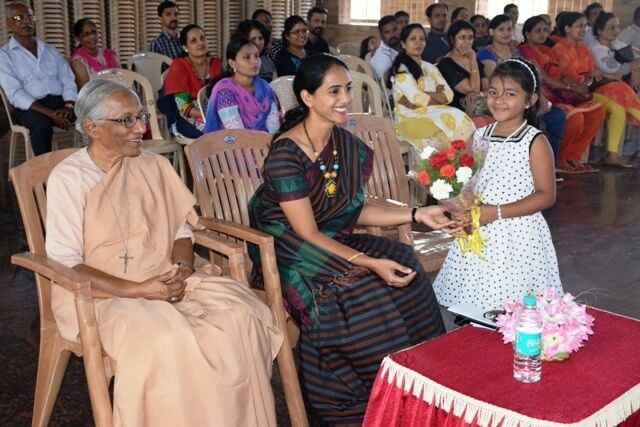 The Chief Guest Mrs. Ramya Prabhu in her address to the students highlighted the significance of the day by being responsible citizens of the country, by performing their duties right from home as our thoughts, actions and character helps in building our future. 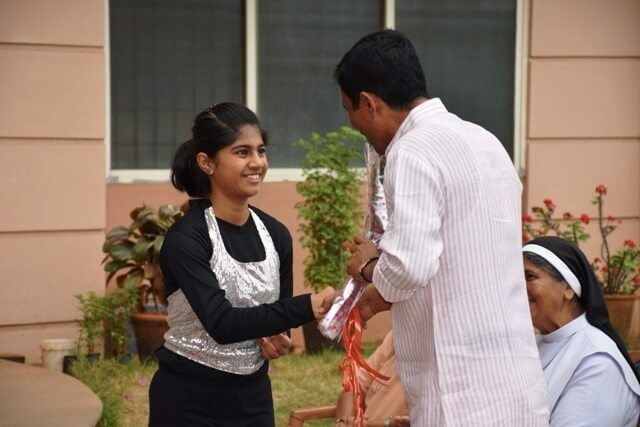 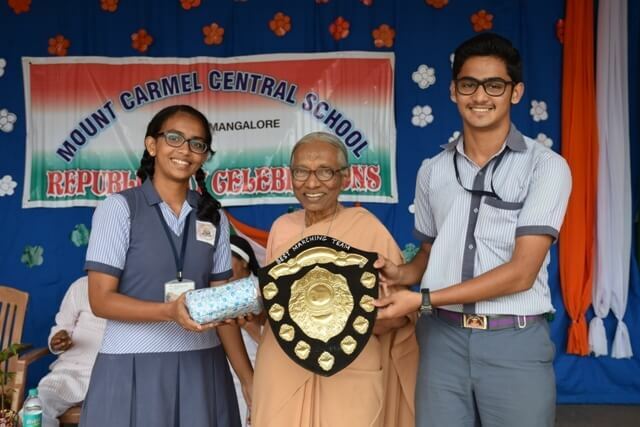 The programme concluded by felicitating the prize winners of various competitions of the 2nd term.